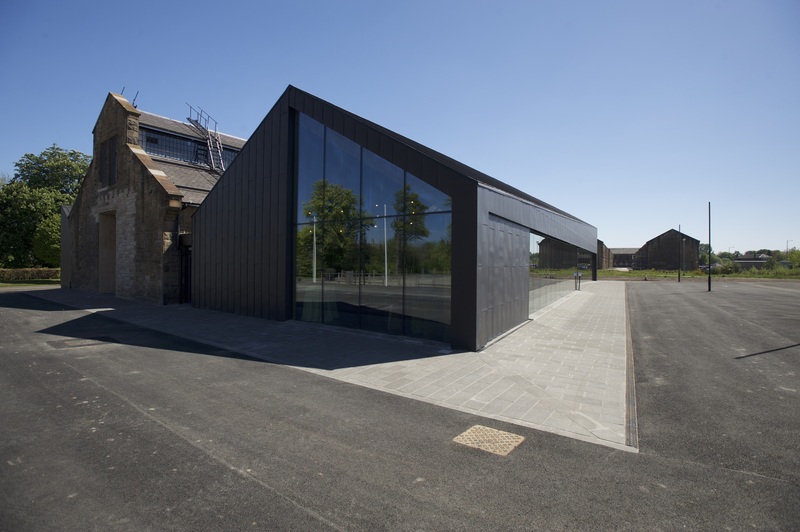 A former goods transfer shed in the heart of Stirling has been transformed into Scotland’s first dedicated building conservation centre. An intensive programme of restoration began in 2013, creating an inspirational resource both for learning and for tourism. The Engine Shed sits on the banks of the River Forth. Interestingly, there is little detail about the history of the building, because it was a strategic – and pretty secret – base for the army in the run up to and during both World Wars. Now, it’s a thriving hub for both the public, and for the construction and conservation professionals who come here to enhance their skills. The building’s own restoration and extension has been a very public statement of its aims. Traditional materials have been used in a contemporary way, staying as close to the original character as possible. Stone salvaged from the former Seaforth bridge, recycled wrought iron, and simple cord and pulley ventilation systems have all come together in the renovation, inspired by railway architecture. In addition, two new sheds have been constructed alongside the original, sympathetically designed to complement their older peer, rather than compete with it. Dr Lyn Wilson, manager of the Engine Shed’s Digital Documentation Team said, “For me, favourite aspects of the Engine Shed design are the open-plan layout which really helps with our aim to create a melting pot for ideas and conversations here, combined with the use of sustainable and recycled materials in the new wings”. 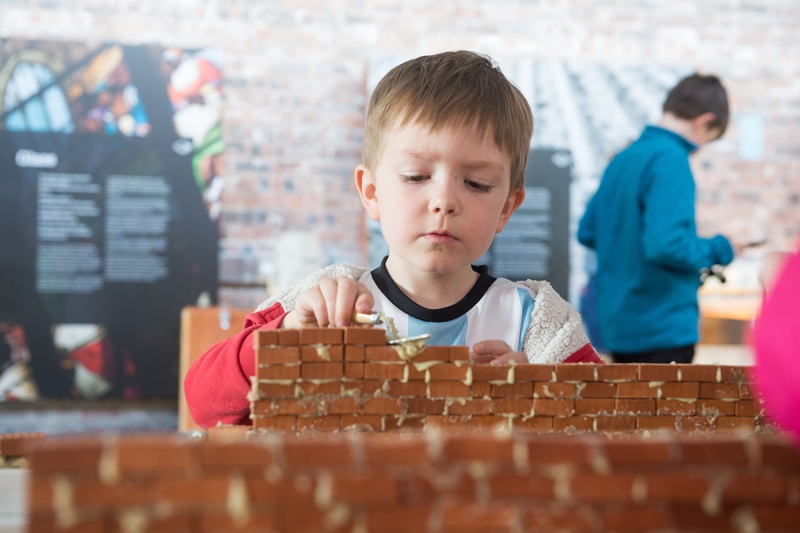 In addition to all the fun, and free!, workshops, the Engine Shed is also a platform for those wanting to develop their knowledge of traditional buildings. The programme offers a number of seminars and an annual Summer School that are perfect for enthusiasts and professionals. Summer School is a five-day introduction to the principles of traditional architecture and the conservation and maintenance of historic buildings. For those searching for a more formal learning route, the Postgraduate Course in Technical Building Conservation is a great option. 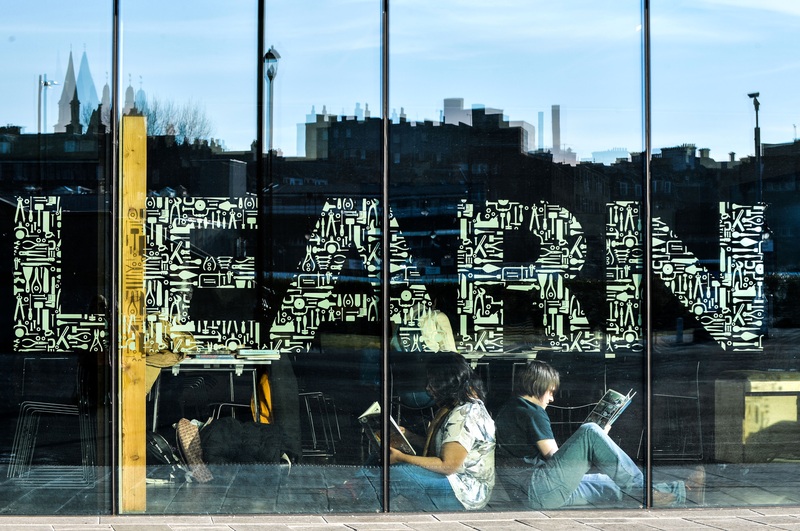 The course offers flexibility on approach, as it can be done on a full- or part-time basis and is the perfect route to start a career in the building conservation sector. So, when you’re planning family days out over this coming summer, skip the softplay for a day. 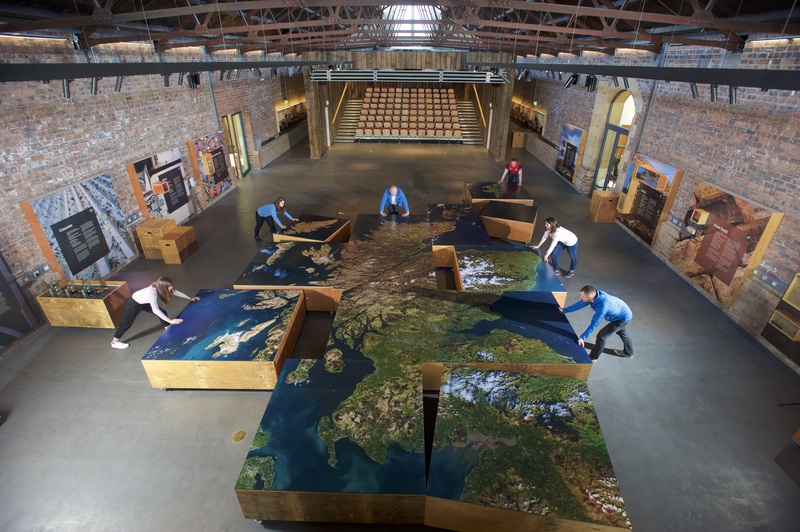 Instead, check in on what the Engine Shed can teach your children about their country’s built history, and give them the skills to be a part of its bright future.